Harvest tours start this week at the West End venue, which is processing its first full haul of grapes and juice to make several wines in-house this fall. By Jacqueline Cain·	 10/4/2018, 12:02 p.m.
By 9 a.m. on Monday morning, Stephen Feke had, for several hours, already been thinking about bottles and bottles of pinot noir. 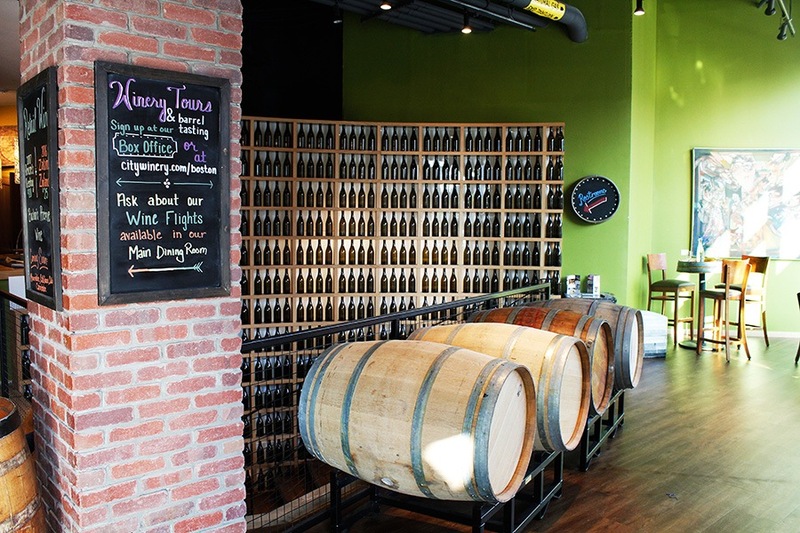 The winemaker was overseeing the first full harvest at City Winery Boston, a year-old venue on Beverly Street which this week welcomed a huge shipment grapes and juice from Central and Northern California. 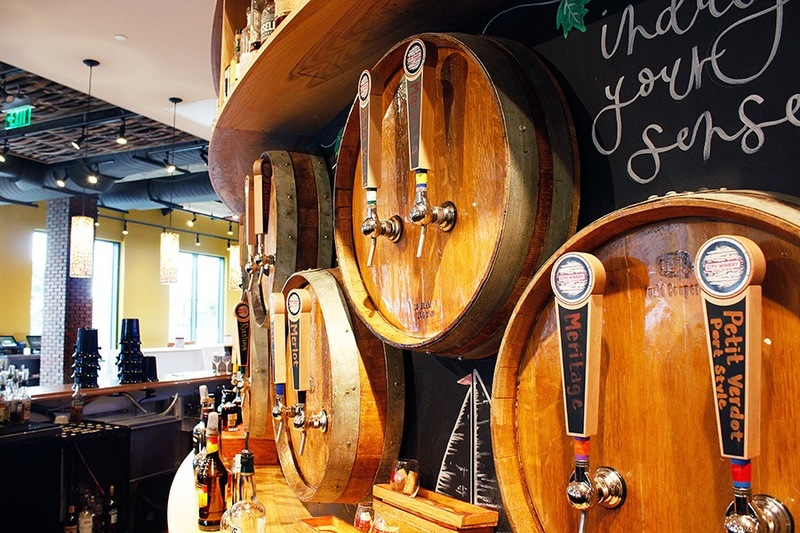 Tours begin today for oenophiles who want to see winemaking at City Winery Boston in action. 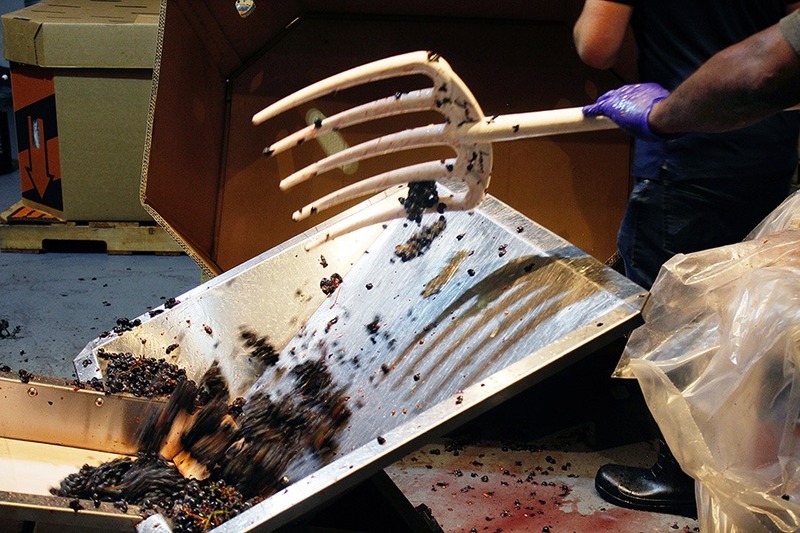 A half-dozen employees were on the production floor by 6 a.m. on Monday, sorting MOG—or “material other than grape,” like any rocks, leaves, etc.—from each plastic-lined, approximately half-ton tote. Ten heavy-duty, cardboard totes full of dark purple pinot noir grapes, still on their vines, made up this week’s delivery, along with just more than 3,000 gallons of already-pressed juice to make white and rosé wines. Two men dug into MOG-sorted boxes of pinot noir from the Santa Rita Hills, the grapes’ juices staining the white prongs of their pitchforks. They tossed each scoop onto a conveyor belt that would lead the grapes through a mechanism to remove their stems, then pump the clean fruit and its skins into an open-top fermentation tank. Another employee wheeled a stepladder over to the fermentor, then climbed up to reach the top with a large hose to spray carbon dioxide into the tank. The gas prevents the sweet morsels from starting to ferment before Feke’s team wanted them to, and it also helps start to extract colors and tannins from the solid material in the tank. 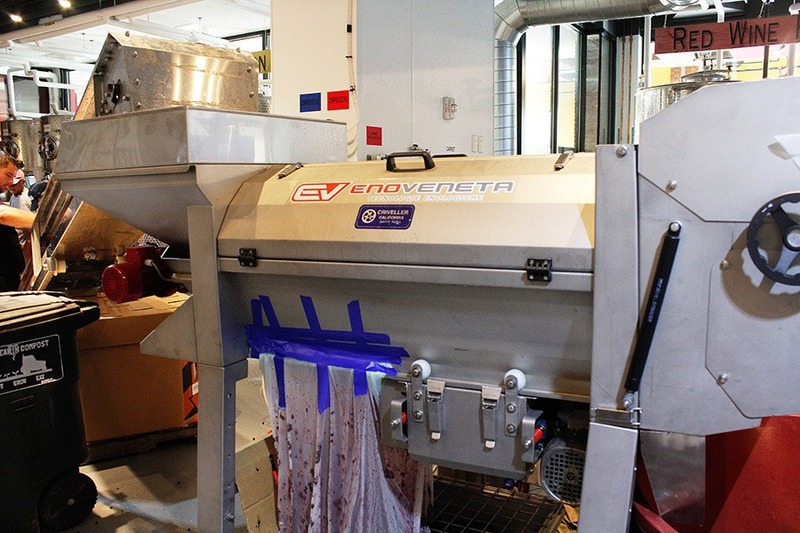 Santa Barbara pinot noir grapes get tossed into a machine for de-stemming. 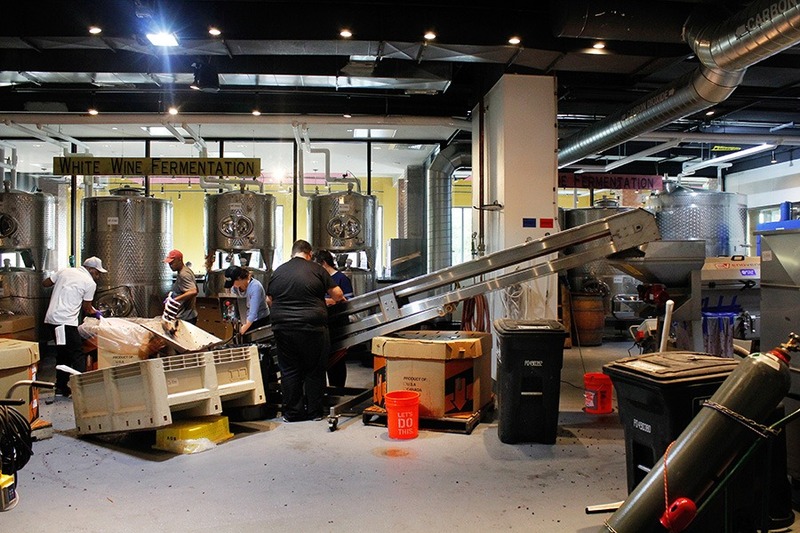 City Winery Boston employees de-stemming pinot noir grapes to start fermentation. Plastic prevents juice from spraying everywhere as bunches of grapes are mechanically de-stemmed. 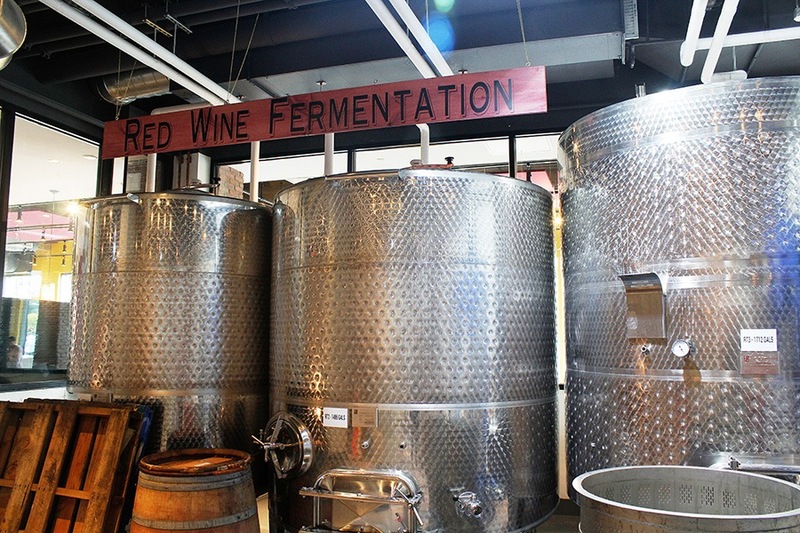 City Winery's red wine fermentation tanks. By the end of the day, Feke and his team will have processed more than six tons of pinot noir grapes. 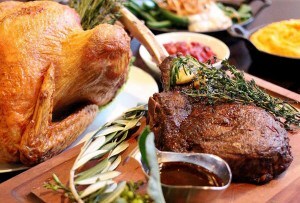 He hoped they would be starting to pump all the juice into the white wine fermentors, too. And then they’d start cleaning. 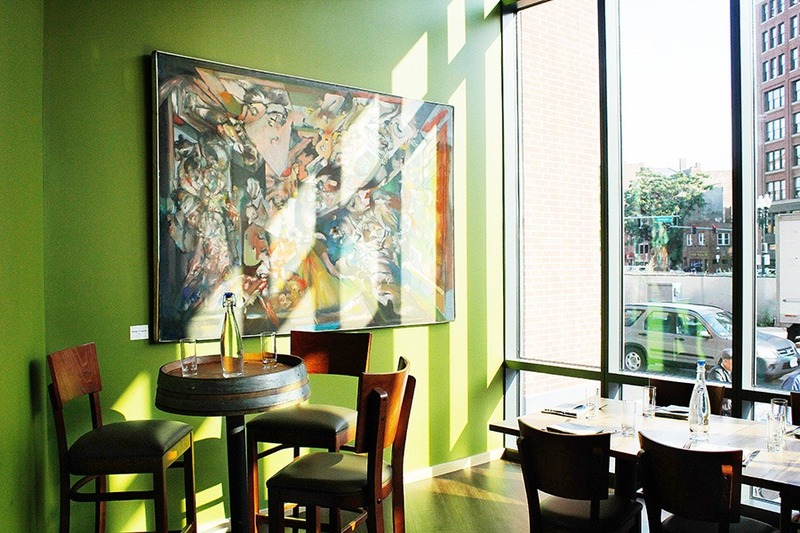 City Winery is many things: A full-service restaurant and bar, a 300-person live music venue, a private events space, an art gallery. 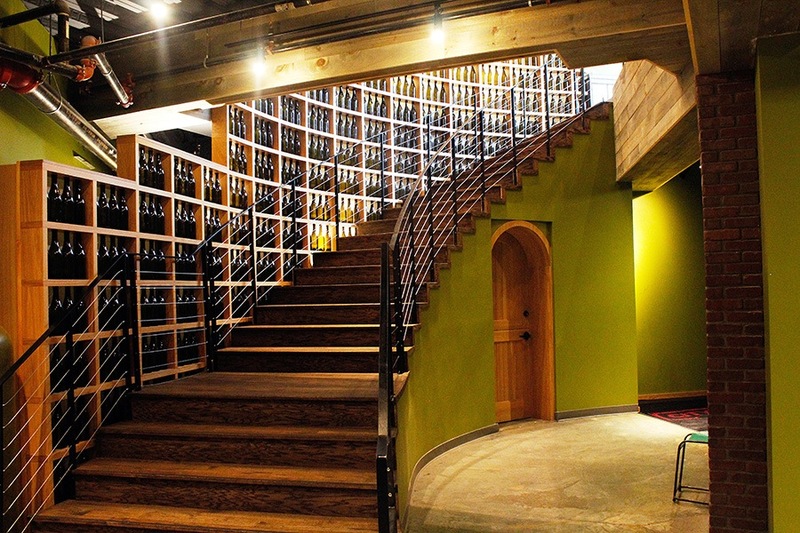 It’s also, clearly, an urban winery. Monday was one of the busiest mornings on Feke’s yearly calendar. “The wine-making process is an annual cycle and it has to do with the grape harvest itself. And in North America, we only get one harvest,” he explains. 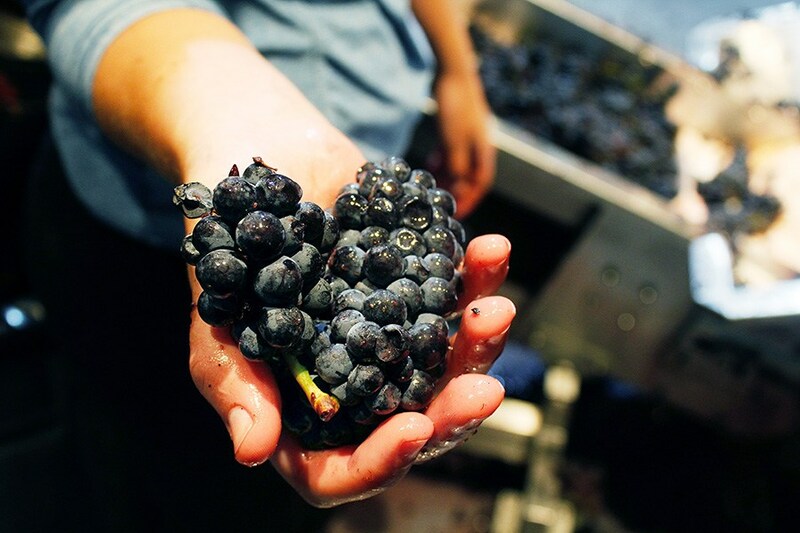 City Winery Boston will get two or three more shipments of red grapes this harvest season. Soon, Monday’s grapes will move from the fermentors into barrels in a separate, climate-controlled storage room. In the wintertime, things will slow down, but when warm weather returns next year, Feke will be racking (or filtering) those barrels, blending them, and otherwise testing and adjusting the wine-in-process. By late summer, it will be time to start preparing for the harvest again. 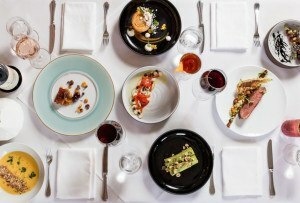 Wine is part of the identity and decor of City Winery's dining rooms, event spaces, and venues. 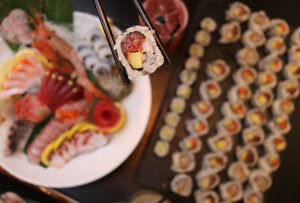 The bars in the restaurant and venues upstairs from where all this action happens serve the full spectrum of alcoholic beverages, but guests can also taste the fruits of Feke’s labor. A 2017 Revere’s Riesling, made with grapes from Lake Seneca, New York, is now available. This fall, house-fermented cabernet sauvignon, cabernet franc, mourvèdre, and carménère wines will hit the tap lines and bottle list. For the styles of red wines City Winery makes, it takes about a year from de-stemming to sipping, Feke says. Those wines are the result of a five-ton harvest of red grapes from the Yakima Valley last December. 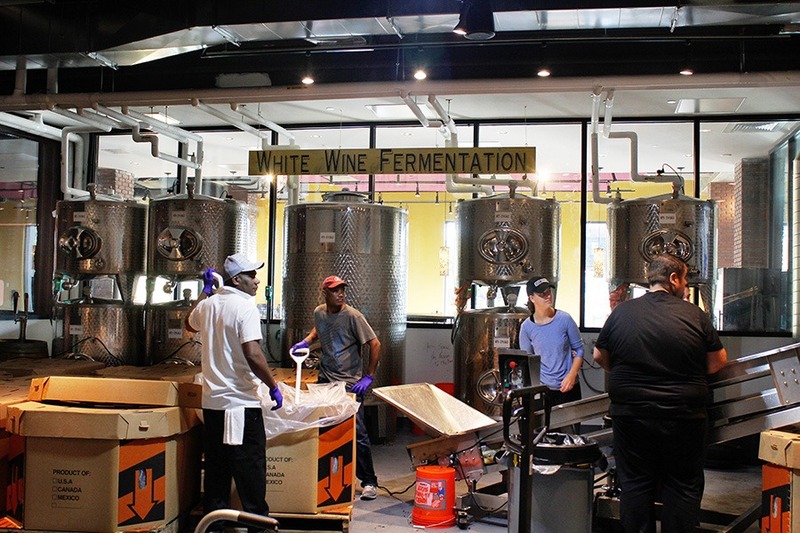 Before tasting the 2018 haul next year, guests can see the fermentation process in action as City Winery begins “harvest tours” for the first time this fall. 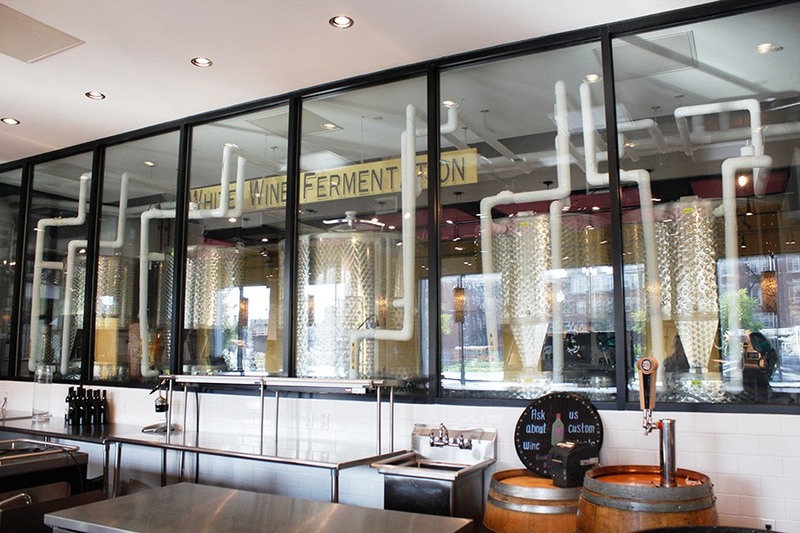 The $50, immersive tour hones in on fermentation techniques, the aging process, and more technical aspects of winemaking. It runs at 10 a.m., noon, and 3 p.m., every day from October 4-31, and could continue into November. 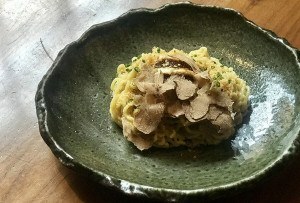 City Winery, 80 Beverly St., Boston, 617-933-8047, citywinery.com.